Unlike dozens of Fort McMurray pets that perished in the Fort McMurray wildfire, Emily Bird's cat survived, but by the time she found him, he'd already been adopted by another family. While dozens of pets died in the Fort McMurray wildfire last month, Emily Bird's cat survived. But she will never see him again. After the city was evacuated, Bird's 10-month-old tabby Burger was placed in the care of a central Alberta rescue agency and was adopted out to another family before Bird was able to track him down. Bird says a disorganized pet rescue operation is to blame for the loss of her pet. "It was just exhausting, because you feel there is so much to deal with, and trying to find your pet is just another thing on top of that," Bird said. "And you know they can't do anything. You know your pet is helpless." Hundreds of pets were left behind during the evacuation. Some died as flames swept through neighbourhoods, consuming more than 1,600 structures. Other animals remained inside homes for days until help arrived. Many more are still unaccounted for. Bird says her cat went missing three days before the fire breached city limits. She didn't panic when he didn't come home one night. Bird didn't know it, but Burger had already been picked up by animal control and was in the municipality's holding facility. Under Wood Buffalo's animal control bylaw, impounded animals become the property of the municipality after 72 hours and can be destroyed or surrendered to the local SPCA. Bird said that with the panic of the approaching fire, she didn't have the chance to search for Burger until after she evacuated. And when she did start searching, it felt futile. Dozens of agencies were involved in the rescue operation. But for weeks there was no master list of rescued pets. Lists that were available often lacked identifying details. "There were so many agencies that came up to help and there wasn't a list given out, so you didn't even know of some of the agencies. You didn't know where to look," Bird said. "It seemed like an impossible task to find him." Emily Bird says her cat Burger went missing a few days before the city was evacuated and was adopted out to a new family before she could track him down. 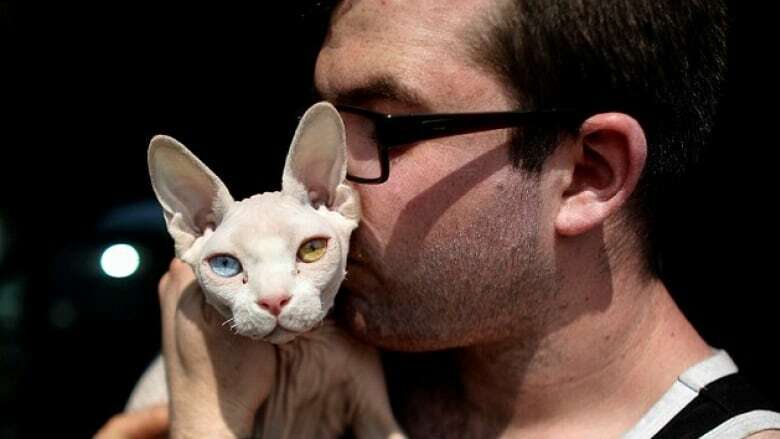 (Supplied )Bird spent hours online searching for her cat. Then on June 16, someone sent her a photo from Saving Grace Animal Rescue in Stettler, Alta. Distinct markings on his nose told her she was looking at Burger. But by the time she called the agency, Burger was already settling in with his new family. They didn't want to give him back. "(The agency) said there was nothing they could do. It was just hard to choke down," Bird said. "There is an obvious need for a more organized system if there is any sort of disaster or mass evacuation, because a lot of people have lost their pets and still haven't been reunited, and it's just been very disorganized." Saving Grace had been taking care of Burger for weeks. Executive director Erin Deems said the cat had never been fixed, had no identification and had been labelled feral by the municipality. When an application came in, Deems had no qualms about adopting him out. "My heart broke for her," Deems said of Bird. "But this cat was not a victim of the Fort McMurray fire. He was a victim of the bylaw system." Deems stands by her decision to give Burger a new home but agrees the pet rescue in Fort McMurray was disorganized. The scale was overwhelming and with no plan in place, volunteers were "re-inventing the wheel," she said. "It was more than anybody expected to take on." A former peace officer with the Alberta SPCA, Deems helped set up a pet processing centre at the evacuation centre in Lac La Biche. She said there were no clear timelines for how long agencies needed to hold rescued pets. Other problems included issues with databases and communication delays. Even after pets were rescued, owners weren't notified for days, leaving the system backlogged with anxious phone calls and duplicated paperwork, Deems said. "It was frustrating for us. We were wasting our time looking for pets that had already been saved." Deems says the confusion demonstrates the need for a provincial animal disaster plan. "I'm not speaking poorly of any group that was involved. Everybody absolutely did their best given the circumstances. "It was a big mess because there is no provincial-wide plan for this. It was all flying by the seat of our pants, under the gun." Municipal Affairs spokesman Tim Seefeldt said Alberta doesn't have a provincial emergency pet rescue strategy and there are no plans to create one in the aftermath of Fort McMurray. During the crisis, the Regional Municipality of Wood Buffalo was responsible for leading rescue operations, in partnership with the Alberta SPCA. Alberta SPCA spokesman Roland Lines said the organization will conduct a full internal review. He said most problems were caused by "unofficial" rescue organizations that didn't coordinate with municipal animal control operations. 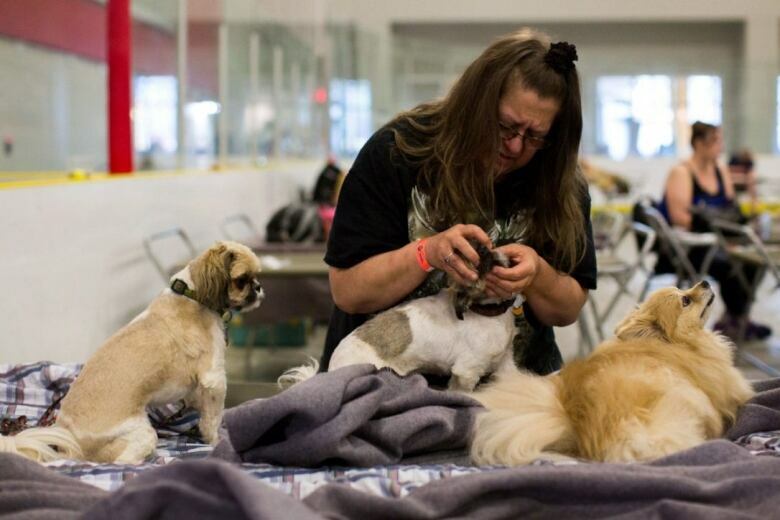 In the end, 1,192 animals were rescued from abandoned homes and held at an emergency warehouse in Edmonton. Twenty-two were found dead of dehydration or starvation. An untold number of dogs, cats and other pets were killed by the flames. As of Friday, 1,051 of the pets rescued by Alberta SPCA had been returned to their owners, and another 44 were scheduled to be reunited with theirs. Only 31 remain unidentified. The cats, dogs, rodents and reptiles are being cared for at agencies across the province. Owners have until the end of the month to claim them. After that they will be up for open adoption. "For all of the agencies involved it has taken over a large portion of our time," Lines said. "And we were very, very happy to be involved, but our regular work continues and we need to get back to that." Audrey Wilcox plans to adopt one of the unclaimed dogs. 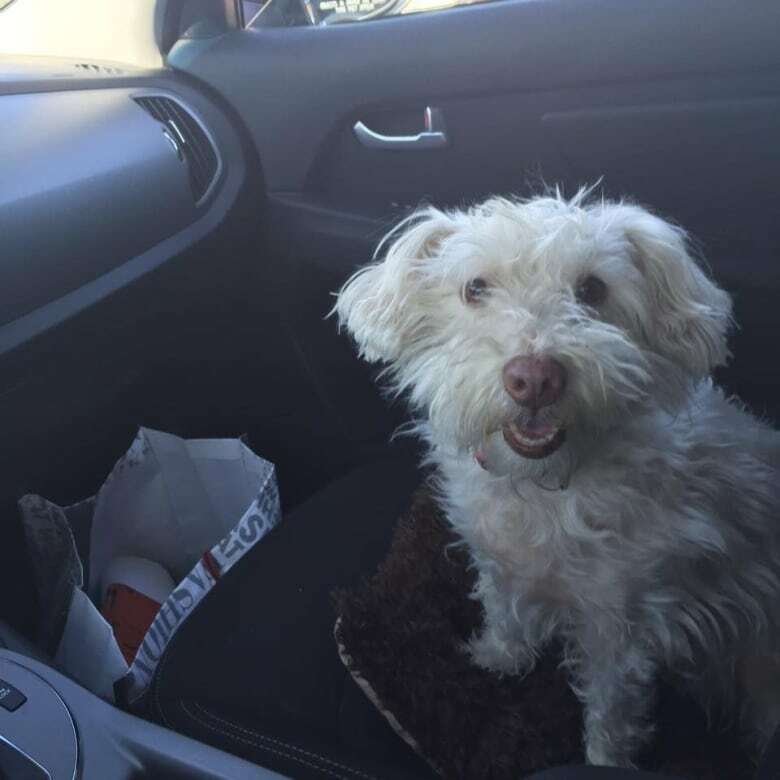 Daisy, her beloved bichon frise mix, died when Wilcox's condominium burned to the ground. In a few days, Wilcox will return to the ruins of her neighbourhood in search of any trace of her companion. "I'm going up to sift through ashes. That's something that I need for closure. I need to know for sure she's gone."